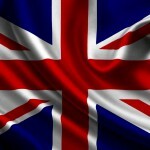 Home » Actors/Actresses » Comedy » Capt Blackadder and Private Baldrick were real! Who knew? Capt Blackadder and Private Baldrick were real! Who knew? With the 100th anniversary of World War I just around the corner on 28 July, news comes out of the UK that there actually was a real-life Captain Blackadder and Private Baldrick. According to military genealogy company, Forces War Records, not only that but just by doing a bit of Sherlockian research they quickly discovered a Captain Darling and Lieutenant George also giving rise to the phrase ‘art imitates life’ or vice-versa. 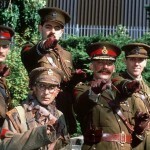 Their ‘fictional’ counterparts rose to fame in the fourth and final series of the brilliant Richard Curtis comedy series, Blackadder, which was set in World War I and followed life in the trenches of Captain Blackadder (Rowan Atkinson), Private Baldrick (Tony Robinson), Captain Darling (Tim McInnerny) and Lieutenant George (Hugh Laurie). According to company CEO, Dominic Hayhoe, there has been a fairly significant uptick in website inquiries tracing family members dating back to the beginning of WWI. “We were uploading new information onto our database when we came across a Captain Blackadder”, said Hayhoe. “As fans of the television show, we wondered if we could find the military records of the other fictional characters’ namesakes. So we challenged our team of professional researchers and military experts, who are all based in the UK so are familiar with the Blackadder series, to find them; which they did. The only person we haven’t been able to track down, so far, from World War 1 is a General Melchett (Stephen Fry). According to the military records we have, he makes an appearance in World War 2“. The real-life military service records of Acting Captain Robert John Blackadder, MC., RGA, Private James Baldrick, Royal Inniskilling Fusiliers, Captain John Clive Darling, DSO., 20th Hussars and Lieutenant Athelstan Key Durance George, Dorsetshire Regimen can all be found on the site. If you look close, there are way more than a comfortable number of similarities between fact and fiction. While both the real and fictional Private Baldrick both came from humble backgrounds and from illiterate families, sadly, it also reveals that both the fictional Private Baldrick and his real-life counterpart, Private J. Baldrick, tragically met their end fighting in the trenches. In addition, both Lt. Georges went to Cambridge, rowed for their college, were unmarried and joined the Army as commissioned officers, both pilots who could draw extremely well. Sadly, both met their respective ends in the trenches. The two Captain Blackadders rose up the ranks and served in the British Army before the outbreak of the First World War, completing their service overseas. Both were bachelors who fought at the Somme in 1916. One extremely notable and important difference between the two is that Captain Robert John Blackadder survived the war unlike his fictional counterpart, played by Rowan Atkinson. Blackadder the Fifth – Any thoughts? Blackadder Christmas Carol – Dickens at his finest?